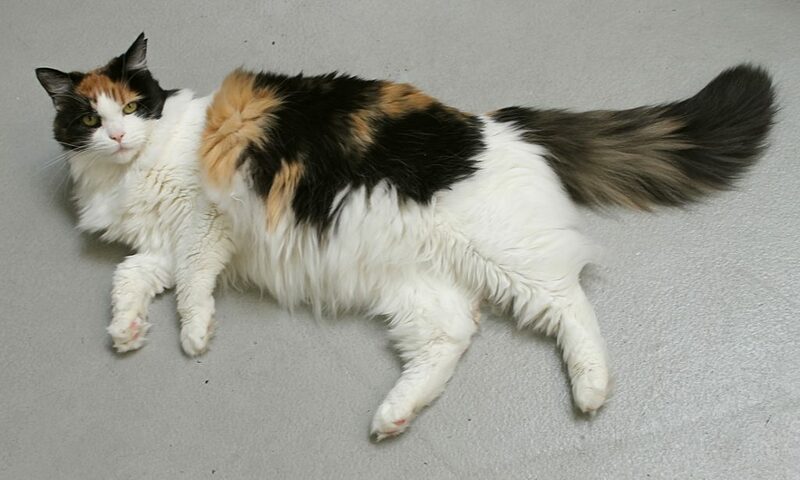 I am Callie the Calico kitty! 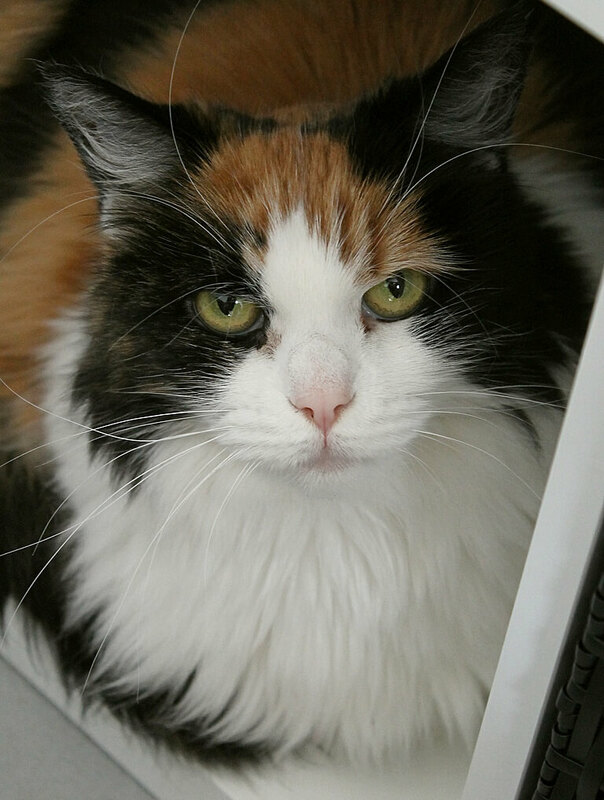 I’m an absolutely stunning 8-year-old lady cat that is not at all shy about how fabulous I am. I love to say hello to new people and will gently rub my luxurious coat up against you as I brush against your legs looking for pets and admiration. My favorite passtimes are looking in the mirror, lounging on plush cushy beds, and enjoying the company of my human companions. 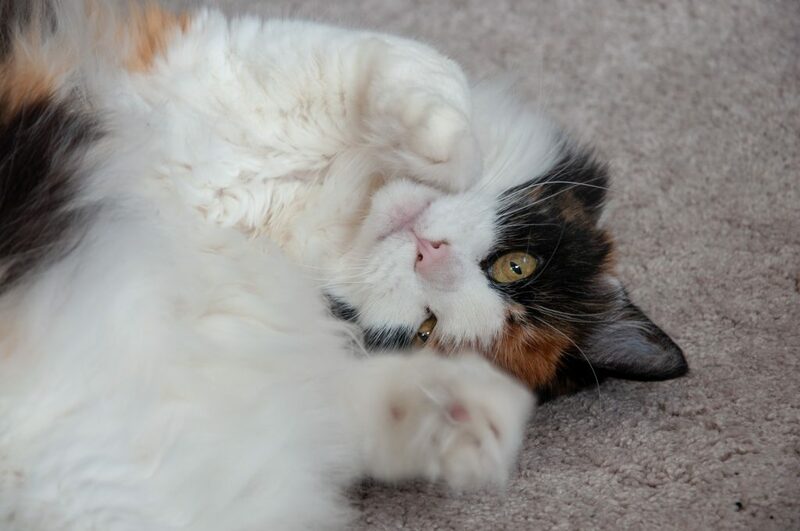 In typical Calico fashion, I’m not a huge fan of being picked up but I’m very tolerant and since I love being adored, I won’t complain too much. I’d just prefer to approach you on my own terms and so would probably do best in an adult-only home or a home with very respectful children. 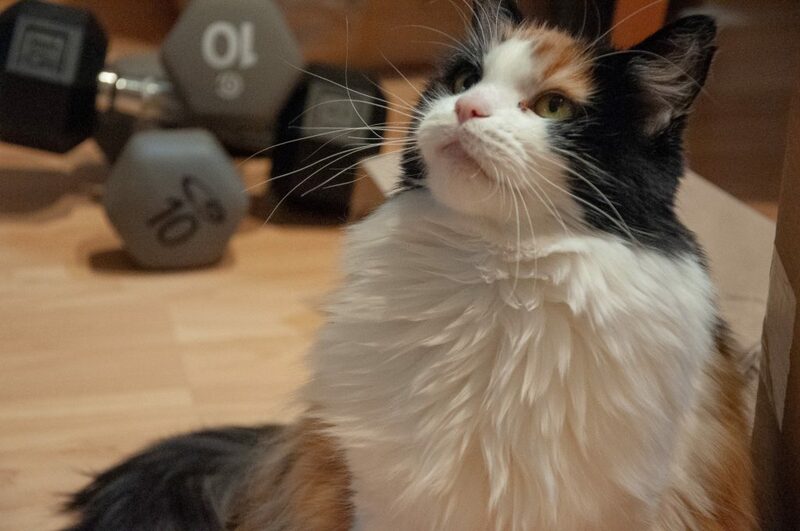 I have lived with kids before, as well as another cat, but as I age like a fine wine I prefer to be enjoyed and appreciated as the gem that I am. I do seem to try and make friends with other kitties, so I probably wouldn’t mind another mellow one or a dog that was respectful of kitties to share my space with. I’m used to having a lot of space though, so might prefer to have access to the outdoors or a catio or yard to sun in. A girl needs her vitaim D! I’ve still got a lot of friskiness left and when I’m in the mood and feeling really friendly I will roll around on the ground inviting you to give me some love or toss a toy my way so we can play! I really am lovely company, and I know I’ll make a wonderful best friend for someone — could it be you? I’m currently residing in a foster home, so fill out an application to meet me today! I come to you fixed, vaccinated, and micro-chipped for an adoption fee of $100.